The cultural heritage of Bathurst and its environs is what makes it unique. It is about buildings and places, people and their stories and objects and their stories. It gives the community a strong sense of place. It contributes strongly to tourism and the economy. It is what makes it an attractive place to live and visit. The Bathurst City Conservation Area is a wonderful collection of mainly 19th century cottages, shops and landmark anchor buildings in the central heritage area. Bathurst is unimaginable without it. The Bathurst Conservation Area originally was identified, defined, researched and listed by the National Trust in 1974 so as to provide a level of protection to this historic area. This was adopted subsequently by Council and has been added to over the years. Why is the Central Heritage Conservation Area important? This is the heart of Bathurst. It is what visitors visualise when they think of our city. It is iconic. Just as recognisable as Battery Point in Hobart. The Rocks and Paddington in Sydney, the historic centres of Ballarat and Bendigo, of Lyon and Bordeaux. There is nothing like this in the rest of NSW. It is precious and important, and is the birthplace not only of luminaries like Ben Chifley, but of the first inland European settlement in Australia. Its heritage values are a major contributor to tourism here and so it is a big part of our local economy. Devalue the buildings and we will lose some of the tourism. This heritage area is also a key element of our sense of place and the attraction of Bathurst as a place to live, work and visit. We need to protect, enhance and promote our heritage. The Bathurst community values our unique heritage and history for its importance as it contributes to our sense of place, but also, for the key role it can play in building a stronger economy. Log on to our Facebook page: Bathurst Heritage Matters to follow the discussion with candidates. 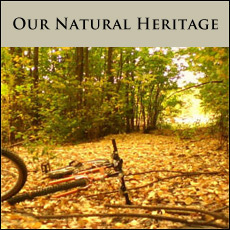 Bathurst Regional Council recently endorsed the 2017-2019 Bathurst Heritage Plan. 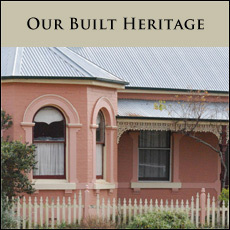 The heritage community has been able to make a significant contribution to the formulation of the plan through the Bathurst Region Heritage Committee of Council. We recognise the work of BRC staff, Janet Bingham and Ashlee Cutter in the development of the Plan.